Sasso Fratino Nature Reserve (National Park of Casentino Forests, northern Apennines) is a quite rare example of natural Apennine forest. The Reserve was established in 1959, aiming to protect a forest, although not a virgin one, low-intensively disturbed in the past by comparison with other neighbouring stands. Causes of such a low disturbance are the very limited accessibility of the area due to the very steep slopes characterising the site morphology, as well as historical features. The forest is a pure beech stand from 1250 m a.s.l. upwards, below this altitude is a mixed beech and silver fir forest. The study focuses on the understanding of the processes driving the evolution of the forest in the absence of human activities. To achieve this goal, 9 permanent, long-term research plots were established at different altitudes, in order to investigate on forest dynamics and regeneration processes. Simplified (single-layer) stand structures are more frequent where canopy gaps are absent. Two-layered structures are the result of the occurrence of canopy gaps, which allow the settlement, and subsequently the establishment, of a lower regeneration layer. Where the gap dimensions allow canopy closure, this kind of structure persists. When the gaps are quite large, the regeneration layer reaches the top layer and the structure stand tends, once more, toward a single-layer. Multilayered structures are extremely rare at plot level and become evident only at a wider scale. Our surveys indicate also a high variability of tree diameter distribution patterns in the forest stands. Such variability could be strictly related to the heterogeneity of site characteristics as well as to the effects of disturbance factors (both natural and anthropic). Concerning altitude, we observed an increase both of site index (dominant height) and species diversity in the regeneration layer, moving from higher (1500 m) to lower (900 m) altitudes. As a whole, our observations show that the dynamics of forest vegetation in the reserve is mostly affected by the interruption of tree canopy continuity. This implies substantial local variations of PAR in space and in time, which determine favourable ecological conditions for: (a) survival and growth of beech seedlings, or release of advanced beech regeneration; and (b) release of advanced silver fir regeneration (fir, more shade tolerant than beech, regenerates mainly in locations and conditions where the broadleaf saplings cannot survive for lack of light). The knowledge of the mechanisms of vegetation dynamics in the Reserve can be used to form the basis of close-to-nature silvicultural choices in similar stands in order to increase functionality and stability. Periodical monitoring of RNI will allow the investigation of the evolutionary trends of the forest stands. Ecologia strutturale e funzionale di faggete italiane (Scarascia Mugnozza G ed). Edagricole Calderini, Bologna (Italy). Standard di buona gestione per i boschi Appenninici e Mediterranei (SAM). (Marchetti M ed). Accademia Italiana Scienze Forestali. Effects of gap size and within-gap position on seedlings establishment in silver fir stands. iForest 1 (1): 55-59. Stand structure and biodiversity in mixed, uneven-aged coniferous forests in the eastern Alps. Forestry 75 (4): 357-364. Quantifying diameter distributions with the weibull function. Forest Science 19 (2): 97-104. Aspetti storici. La riserva naturale integrale di Sasso Fratino 1959-2009: 50 anni di conservazione della biodiversità (Bottacci A ed). Corpo Forestale dello Stato-Ministero delle Politiche Agricole Alimentari e Forestali. Arti grafiche Cianferoni, Stia, AR (Italy), pp. 29-38. Plant sociology. Mc Graw-Hill Book Comp., New York and London. Die reaktion von Buchensämlingen auf beschattung. Forstarchiv 35 (11): 225-233. Growth and canopy architecture of shade-tolerant trees: response to canopy gaps. Ecology 69 (3): 786-795. Nature-based silviculture in Slovenia: origins, development and future trends. Nature-based forestry in central Europe - Alternatives to industrial forestry and strict preservation. In: “Nature-based forestry in central Europe, alternatives to industrial forestry and strict preservation” (Diaci J ed). Studia For. Slov. 126: 119-131. Treefall-gap structure and regeneration in mixed Abies alba stands in central Poland. Forest Ecology and Management 255: 3469-3476. Structure of silver fir (Abies alba Mill.) natural regeneration in the “Jata” reserve in Poland. Forest Ecology and Management 110: 237-247. Vegetation ecology of central Europe. Cambridge University Press, Cambridge, UK. Understory light conditions and regeneration with respect to the structural dynamics of a near-natural temperate deciduous forest in Denmark. Forest Ecology and Management 106: 83-95. La storia della Foresta Casentinesi nelle carte dell’Archivio dell’Opera del Duomo di Firenze dal secolo XIV al XIX. Collana Verde n° 43, MAF, Rome, Italy. “Back to nature” - a sustainable future for forestry? Forest Ecology and Management 179: 559-571. Secondo contributo alla conoscenza della flora della Riserva Naturale Integrale di Sasso Fratino (Parco Nazionale delle Foreste Casentinesi, Monte Falterona e Campigna). In: “La Riserva Naturale Integrale di Sasso Fratino: 1959-2009. 50 anni di conservazione della biodiversità ” (Bottacci A ed). Corpo Forestale dello Stato, Ufficio Territoriale per la Biodiversità di Pratovecchio, Arezzo, Italy, pp. 75-118. Foliar morphological and physiological plasticity in Picea abies and Abies alba saplings along a natural light gradient. Tree Physiology 21: 959-967. L’abieti-faggeto di Sasso Fratino ed i suoi aspetti fitosociologici. Tipografia Valbonesi, Forlì, Italy. Archivio botanico e biogeografico italiano XLI (4): 1-15. Le stime di superficie 2005 - Prima parte. Inventario nazionale delle foreste e dei serbatoi forestali di carbonio (Tabacchi G, De Natale F, Di Cosmo L, Floris A, Gagliano C, Gasparini P, Genchi L, Scrinzi G, Tosi V eds). MiPAF, Corpo Forestale dello Stato, Ispettorato Generale, CRA - ISAFA, Trento. Ein Verfahren zur Beurteilung der Bestandesdiversität. Forstw. Cbl. 116: 333-345. Natural canopy gap disturbances and their role in maintaining mixed-species forests of central Quebec, Canada. Canadian Journal of Forest Research 37 (9): 1534-1544. Forest dynamics. SILVI-STAR: a comprehensive monitoring system. Springer, Berlin, Germany. Europaeische Urwaelder der Bergstufe. Haupt, Bern, Switzerland. Factors affecting stand structure in forests - are there climatic and topographic determinants? Forest Ecology and Management 123: 55-63. Natural regeneration in a beech-dominated forest managed by close-to-nature principles - a gap cutting based experiment. Canadian Journal of Forest Research 38 (7): 1716-1729. Effects of soil water content, fertilization, light, weed competition and seedbed type on natural regeneration of beech (Fagus sylvatica). Forest Ecology and Management 72: 251-264. Ricerche sui fattori della rinnovazione naturale dell’abete bianco sull’Appennino. L’Italia Forestale e Montana XXII (6): 261-270. Forests: elements of silvology. Springer-Verlag, Berlin, Germany. Forest Stand Dynamics. John Wiley & Sons, New York, NY, USA. La vegetation de la Chaine Alpine. Masson, Paris, France. The role of studies on vegetation dynamics in undisturbed natural reserves towards the need of knowledge for close-to-nature silvicultural treatments: the case-study of Natural Reserve of Sasso Fratino (Foreste Casentinesi, northern-central Apennines). AISF-EFI International Conference on “Forest management in designated conservation and recreation areas” (Morandini R, Merlo M, Paivinnen R eds). Florence (Italy) 7-11 October 1998. University of Padua Press, pp. 145-156. Storia delle foreste demaniali casentinesi nell’Appennino tosco-romagnolo. Collana Verde n°63. M.A.F., C.F.S. ex ASFD, Rome, Italy. The influence of the spacial pattern of trees on forest floor vegetation and silver fir (Abies alba Mill.) 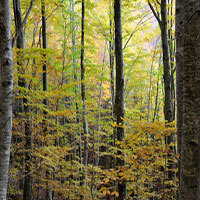 regeneration in uneven-aged forests. Forest Ecology and Management 205: 283-298. Natural Woodland. Cambridge University Press, Cambridge, UK. Microsite variation and soil dynamics within newly created treefall pits and mounds. Oikos 58: 39-46. Geobotanica. In: “Trattato di botanica” (Cappelletti C ed). UTET, Turin, Italy, pp. 801-997. Flora d’Italia. Voll. 3. Edagricole, Bologna, Italy. I Boschi d’Italia. UTET, Turin, Italy. The life forms of plants and statistical plant geography. Clarendon, Oxford, UK. Worldwide bioclimatic classification system phytosociological research center. Osservazioni sulle caratteristiche e l’evoluzione dei suoli della Foresta di Campigna (Forlì). Relazioni con la vegetazione forestale. Annali Accademia Italiana Scienze Forestali XI: 97-137. Opportunities and strategies of biorationalisation of forest tending within nature-based management. Nature-based forestry in Central Europe: alternatives to industrial forestry and strict preservation (Diaci J ed). Ljubljana (Slovenia). The ecological consequences of changes in biodiversity: a search for general principles. Ecology 80: 1455-1474. Essentials of ecology (2nd edn.). Blackwell Publishing Company, UK. Canopy gaps and the two major groups of forest trees. Ecology 70 (3): 536-538. Disturbance of microsites and early tree regeneration after windthrow in Swiss mountain forests due to the winter storm Vivian 1990. For. Snow Landsc. Res. 77: 17-47. Does old-growth condition imply high live-tree structural complexity? Forest Ecology and Management 195: 243-258.